Viknesh Vijayenthiran September 7, 2012 Comment Now! 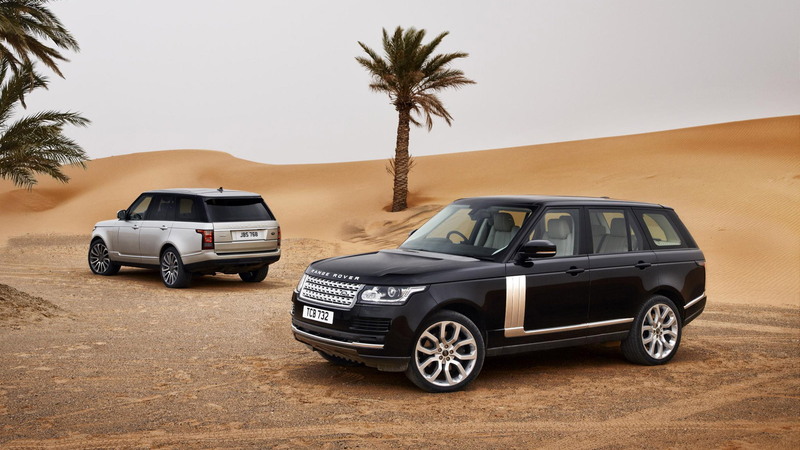 The brand new, fourth-generation Range Rover SUV from Land Rover hits showrooms this December following a global premiere at the 2012 Paris Auto Show this month. Earlier, Land Rover gave us a preview of the new Range Rover, but now we have all the specs and some beautiful new imagery of the stylish SUV. On the outside, the new model, code-named L405, remains unmistakably a Range Rover. Beneath the pretty sheet metal, however, the new 2013 Range Rover is nothing like its predecessors. A lighter, stronger and more refined aluminum unibody structure has been implemented, helping the vehicle to shed as much as 926 pounds from the previous model’s curb weight in some trims. The U.S.-spec V-8 Range Rover comes in at 700 pounds under the model currently on sale, and weighs in at 4,850 pounds. That's a massive saving--and it will translate into improved gas mileage and better handling. On top of this, all-new aluminum front and rear chassis architecture has been developed and paired with a completely re-engineered four-wheel air suspension setup. According to Land Rover, the new setup delivers flatter, more confident cornering abilities, with a natural and intuitive steering feel. 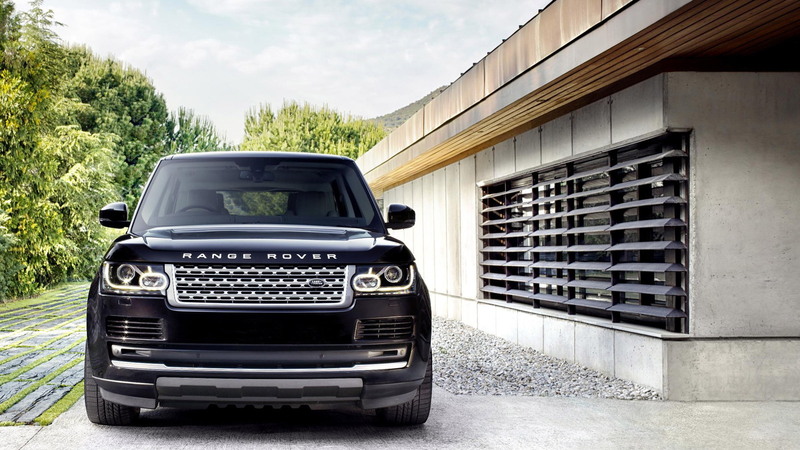 Despite weighing less, the new Range Rover is more spacious and much more luxurious than the outgoing model. In fact, passengers in the back benefit from up to 4.7 inches of additional legroom, but if that’s not enough a new long-wheelbase model is also in the works. The vehicle has been fully designed and engineers at Land Rover’s development centers in the UK, and production takes place at an advanced new manufacturing facility at Solihull, also in the UK. For the U.S. market, two V-8 engines will once again be offered: a naturally-aspirated 5.0-liter V-8 rated at 375 horsepower and 375 pound-feet of torque, and a supercharged version of this engine with 510 horsepower and 461 pound-feet of torque on tap. Both engines will be paired with a ZF eight-speed automatic. The 0-60 times come in at an impressive 6.5 seconds and 5.1 seconds, respectively, while top speeds register at 130 mph and 140 mph. 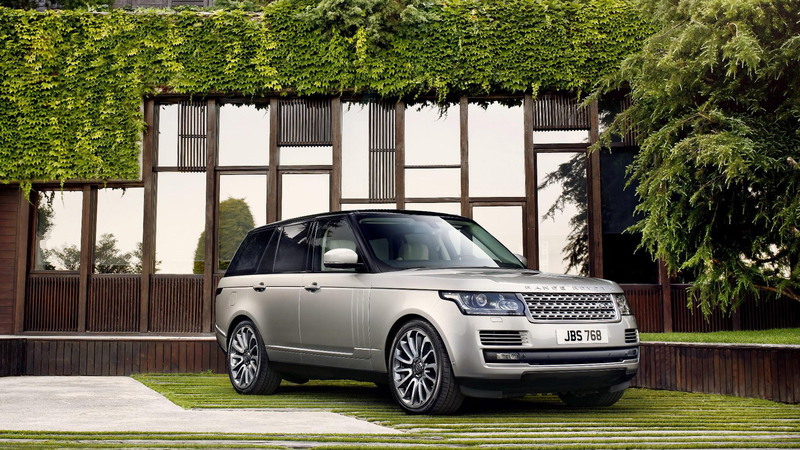 Sadly, the U.S. will miss out on a new diesel-electric hybrid Range Rover due out overseas in 2013. Based on the recent Range_e concept, the Range Rover hybrid will pair a 3.0-liter turbodiesel V-6 with a compact electric motor, in parallel, and promise a fuel economy of around 37 mpg. Further down the track a plug-in hybrid version is also planned. The cabin of the new model is significantly more refined than in previous generations. Not only is there more space overall, but passengers are treated with a quieter ride and new premium features. All the glass is acoustically laminated and the exterior has been designed to minimize wind noise. Luxury can be found throughout the cabin, such as the sliding panoramic roof, Meridian sound system available with up to 29 speakers, sumptuous wood and brushed aluminum trim, four-zone climate control and pair of LCD display screens. A 12.3-inch display serves as the main information center, while a second 8-inch touch-screen unit is used for infotainment and secondary functions. As for the rest of the cabin, three grades of premium quality leather are applied throughout, covering nearly every surface from the seats and instrument panel to the doors and headlining. As sumptuous as the new Range Rover is, the vehicle is still designed to be fully capable off-road--it is a Range Rover, after all. In this department, Land Rover engineers have upgraded Land Rover’s easy-to-useTerrain Response system. It now features an automatic setting that relies on on-board vehicle sensors to analyze the current road surfaces and driving conditions, and then automatically select the most suitable terrain program. The new system is able to switch automatically between the five settings: General; Grass/Gravel/Snow; Mud/Ruts; Sand; and Rock Crawl. Like previous Terrain Response systems, each setting optimizes capability and traction by adapting the responses of the vehicle’s engine, transmission, center differential and chassis systems to match the demands of the terrain. The latest version also provides the driver with recommendations, such as advising when to select low range or off-road ride suspension height when the system calculates that it is necessary. If desired, the system can always be switched into manual mode. 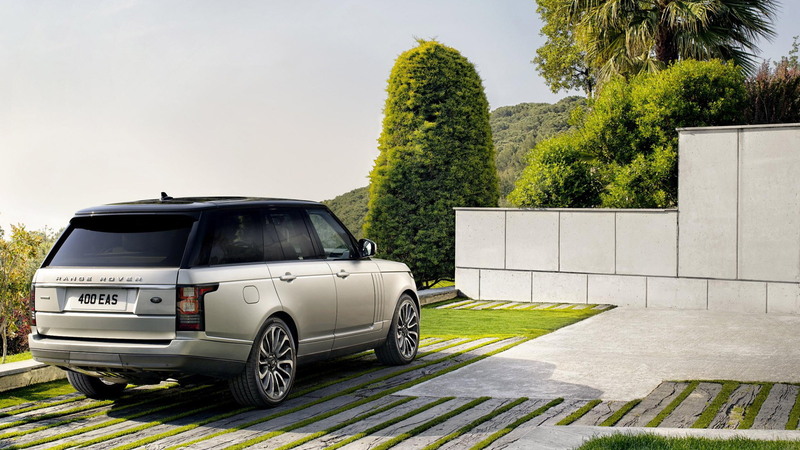 Air suspension and permanent four-wheel drive is standard, and for the first time the Range Rover gets an available adaptive suspension system that can reduce the degree of body lean during cornering. Adjustable dampers, allowing drivers to select from soft and firm settings, are standard across the range, however. The new Range Rover also adopts electric power steering. In addition to helping save fuel by reducing load on the engine, as opposed to conventional hydraulic systems, the electric system also enables customers to benefit from park assist feature that helps to identify a suitable parallel parking space, and then automatically steers the vehicle into place, with the driver only controlling the brake. Stopping power comes from a set of massive Brembo brakes, with 14.96-inch discs up front and 14.37-inch discs in the rear. These reside within wheels ranging from 19 to 22 inches in diameter. Safety features include adaptive cruise control, blind spot monitoring, a surround camera view and reverse cross traffic alert system. 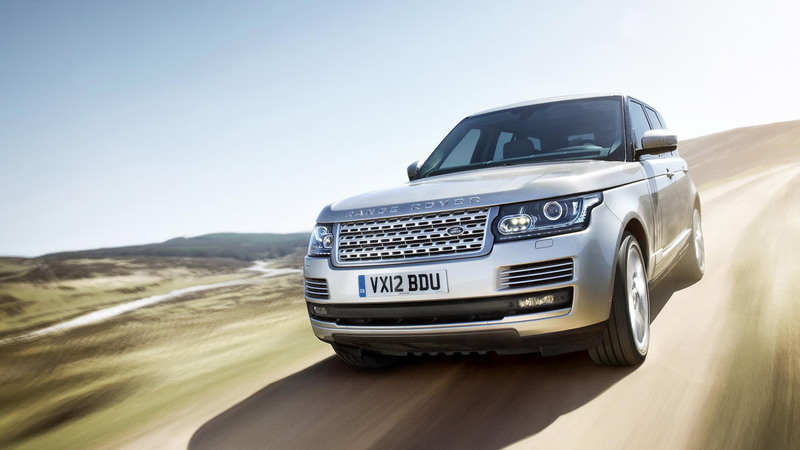 Pricing and EPA mileage ratings for the 2013 Land Rover Range Rover should be announced closer to December’s sales launch.